As we all know, many teachers have a hard time finding funding for all the books, materials and resources they need for their classrooms. For teachers of English Language Learner (ELL) students, access to quality resources, materials, and training is especially important, as ELL students need bilingual books and materials to improve their literacy and language skills. Yet obtaining these resources can be a difficult task for teachers and schools when local funding is not available. As reported in Ed. Department Awards Grants to Improve ELL Teaching, the U.S. Department of Education is aware that bilingual programs rely on funding simply to exist, let alone thrive. Resources are available through both federal and state government grants as well as private funding. The key for teachers and school administrators is to find out how to tap into these available resources. tips on how to search and apply for funding as well as sources for where to start looking for grants. a catalog of private companies and organizations that provide funding. Private sources can be less restrictive than public ones, and may include financial support for items such as bilingual books and resources. Finding grants and figuring out how to apply for them can be frustrating. Here is a list of resources that can help you as you search and then apply for a grant. Grants.gov: This is the spot to start when looking for federal grants. There are a lot of grants listed, so take your time and do a variety of different searches using multiple keywords. If you know the exact grant number, you can type that in to bring up the specific grant information. U.S. Department of Education: A variety of grants are offered at the U.S. Department of Education. The “discretionary grants” will be of greatest interest to educators looking for bilingual classroom funding. Click here to learn more about the grants and how to apply. Click here to see a list of programs based on title (on the left of the page there are additional ways to sort the programs). To learn more about the different grants offered at the U.S. Department of Education, visit http://www.ncela.gwu.edu/files/uploads/6/2011_General_Information_about.pdf (if this link doesn’t work, try copying and pasting this URL directly into your browser). National Clearinghouse for English Language Acquisition (NCELA): This is a great place to learn more about grants available for ELL classrooms. Search for “grants” or “funding.” Note: The Foreign Language Assistance Program (FLAP) was eliminated this year and therefore no funding currently is available. eSchoolNews.com: Check out the Funding tab on this website to find information on how to apply for a grant, as well as a list of ongoing education grants. Click here to visit the funding page. FundsnetServices.com: This website helps spread the word about grants, fundraising programs, philanthropy, foundations, and other funding sources. It is a great place to do some searches and to learn more about how to apply for funding. Foundation Center: This organization “connects people who want to change the world to the resources they need to succeed.” They claim to have the “most comprehensive database on U.S. and, increasingly, global grantmakers and their grants.” Here you can make your case for why bilingual books are needed in your bilingual classroom. School Grants: This website provides PK-12 educators with information about grants as well as help with the application process. It offers online tips and helps teachers find suitable grant opportunities by reducing the listings to those of interest to PK-12 grades. Check out the links for grant writing tips as well as links to grant opportunities. Striving Readers Comprehensive Literacy (SRCL) program: The purpose of these grants is to create a comprehensive literacy program to advance literacy skills, including pre-literacy skills, reading, and writing. These grants can be used to fulfill the needs of students with limited proficiency in English. English Language Acquisition, Language Enhancement, and Academic Achievement Act: This Title III grant is designed to help limited-English-proficient children and youth attain English language proficiency, develop high levels of academic attainment in English, and meet the same challenging state academic standards that all children are expected to meet. Schools will be given funding to establish, implement, and sustain language instruction as well as to develop programs to promote parental and community involvement. Teachers are encouraged to include quality bilingual resources in the allocation of these funds. Click here to read about Title III on the National Clearinghouse for English Acquisition (NCELA) website. Emergency Immigrant Education Program: The U.S. Department of Education has set aside funding to “assist eligible local educational agencies that experience unexpectedly large increases in their student population due to immigration.” If this applies to your school, include a request for bilingual books as part of your resource list. Improving Basic Programs Operated by Local Educational Agencies: This grant is also known as “Education for the Disadvantaged” and provides financial assistance to local educational agencies (LEAs) and schools with high numbers or high percentages of children from low-income families. Schools with ELL students that qualify for this funding should make sure they include a request for high-quality bilingual resources. Improving Literacy Through School Libraries: Schools that have students from families with low incomes are eligible to apply. Outlying areas (American Samoa, Guam, the Northern Mariana Islands, and the U.S. Virgin Islands) and the Bureau of Indian Affairs are eligible for funds under a set aside. Race to the Top – Early Learning Challenge (RTT-ELC): This grant competition focuses on improving early learning and development programs for young children. Bilingual educators should clearly outline their needs for improving early learning rates in their classrooms, especially when it comes to ELL assessments (since ELLs have very different needs). 21st Century Community Learning Centers (Title IV, Part B): A large focus of this grant, which is aimed at students who attend high-poverty and low-performing schools, is to ensure that literacy resources are provided to children and their families. Bilingual resources can be integral to making a program like this successful for ELLs and their families. Head Start Grants: The Office of Head Start (OHS) program provides grants to local public and private non-profit and for-profit agencies to provide comprehensive child development services to economically disadvantaged children and families, with a special focus on helping preschoolers develop the early reading and math skills they need to be successful in school. In addition to federal and state funding, many private institutions and corporations are making the effort to support education in their communities, states, and across the country. Funding is available for a variety of initiatives, from helping libraries with resources to teacher professional development. Adopt-A-Classroom.org: This organization is unique in that it matches donors with teachers who need financial support to purchase critical resources and materials for classrooms. DonorsChoose.org: This online charity “makes it easy for anyone to help students in need.” The idea is that public school teachers from anywhere in the U.S. can enter a classroom request at the DonorsChoose.org website. Then those who wish to fulfill these needs donate any amount they choose. When the project reaches its funding goal, the materials are delivered to the school. This is an excellent way for teachers to request bilingual books for their students. Dollar General Youth Literacy Grants: The Dollar General Literacy Foundation’s Youth Literacy Grants provide funding to schools, public libraries, and non-profit organizations to help students who are below grade level or experiencing difficulty reading. Dollar General also offers Family Literacy Grants. State Farm Grants: State Farm offers three types of education grants for K-12 public schools: Teacher Development, Service-Learning, and Systemic Improvement. Verizon Foundation Grants: The Verizon Foundation offers funding to education initiatives and programs. To find out if your school or organization is eligible for a grant from the Verizon Foundation, fill out their online Eligibility Quiz. RGK Foundation Grants: The RGK Foundation’s education grants are for programs that focus on formal K-12 education (particularly mathematics, science and reading), teacher development, literacy, and higher education. Barbara Bush Foundation for Family Literacy Grants: Funding is available to organizations that support low-income and low-literacy families with resources and information. This would be a wonderful grant for bilingual books and materials to be shared with parents and students. The application process for the 2013-2014 funding cycle begins in January 2013. Carnegie Corporation of New York: It is a good idea to send a letter of inquiry to find out if your grant request is aligned with the Carnegie Corporation’s priorities and funding strategies. If the project is considered suitable, it will be considered for funding. Beyond Words: the Dollar General School Library Relief Fund: Grants are awarded to public school libraries that have incurred substantial damage or hardship due to a natural disaster as recognized by the federal government. 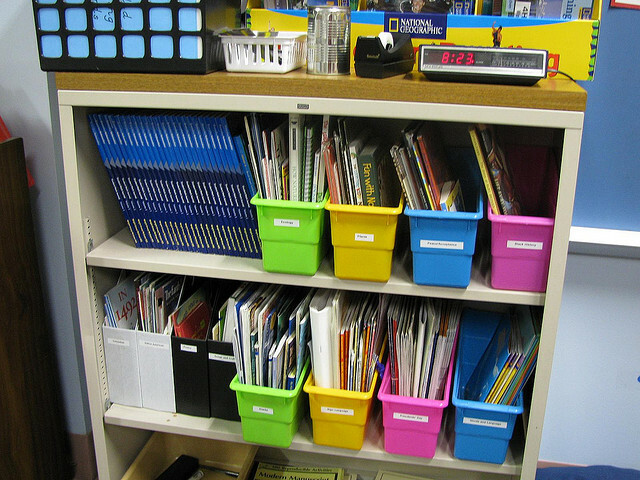 This initiative is a collaboration of Dollar General, the American Library Association, the American Association of School Librarians, and the National Education Association. Entergy Charitable Foundation (ECF) Grant: Entergy is dedicated to combating poverty through literacy. They offer grants to schools and programs that are working to meet this goal. Kids in Need Foundation: “Kids In Need Teacher Grants provide K-12 educators with funding to provide innovative learning opportunities for their students.” These annual grants, which range from $100 to $500, could provide bilingual books and materials to support an innovative bilingual program. Target Store Grants: These grants are available to K-12 schools (as well as other nonprofit organizations) to help bring cultural experiences to schools as well as to support early childhood reading programs. Five percent of Target’s income is given to the communities that they serve, which equals more than $3 million each week. Teachers can outline how bilingual books and materials are needed to support their youngest bilingual readers. Nissan Foundation: The Nissan Foundation supports educational programs that celebrate and foster appreciation and understanding for our diverse cultural heritage. Originally these grants were focused in the Los Angeles community, but they have now expanded to include communities in which the company operates across the country. Teachers should demonstrate how bilingual books and resources that focus on cultural diversity help support the Nissan Foundations funding goals. Lowe’s Toolbox for Education: Lowe’s donates $5 million annually to public schools and public school parent-teacher groups. It is very possible that your school’s bilingual program could receive a grant to purchase books and resources. State/Community grants: The best way to find private and public grants specific to your state or community is to do a targeted Internet search. Use keywords such as the name of your state and the word “grant.” Add “ELL” or “bilingual” or even “literacy” to your search. Another suggestion is to search for the words “education funding” or “community foundation.” Be as creative as possible. We hope this list of public and private grant and funding resources will be helpful to you. Language Lizard is dedicated to helping teachers and non-profit organizations obtain the bilingual books and resources they need. In your application, consider using Language Lizard as a source for your bilingual book purchases. We are happy to help you put together an order that will meet the needs of your students. Please let us know if you are awarded a grant! It is always exciting to hear back from those who have applied with success. Have you ever purchased bilingual books or other resources with an education grant? What tips can you give to others applying for grants? Do you have other funding opportunities to share with our readers? If so, tell us about your experience! Can you direct me to a good company or catalog to buy some dual language books for my students? If you can’t find what you are looking for, feel free to use the contact form on the Language Lizard website and let us know what you have in mind! This website have wonderful material for URDU LANGUAGE, if any body interested. Thanks for sharing this opportunity–not only might it benefit the mission work we do–I’ll be sharing this with my sister, who is an elementary school teacher in a district with lots of ESL students! Awesome! If you scroll down the page, you’ll see on the left-hand side (under the Facebook and Twitter logos) a section that says “Subscribe to this blog via email” where you can sign up for updates. Thanks! Hello. I’m an undergraduate student from Benin Republic and I hold my master degree certificat in local development. Indeed I did my studies in french language ( In Abomey-Calavi university) but all the same I’m an English speaker. I wish to get a grant for forein studies to achieve my dream in bilingual learning. Thanks for your help.